Music video for the song "Carly's Loneliness" performed by Enigma. Written by Michael Cretu. From the motion picture " Sliver." Low-budget film written and directed by Stephen Metcalfe, a first time director but previous screenwriter. Billy Connolly and Sharon Stone share the lead roles in this romantic comedy. 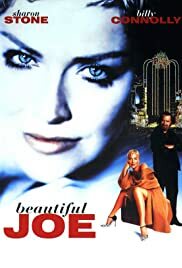 Connolly plays Joe- a decent guy who has a brain tumor, who meets Hush (Sharon Stone) who is on the run from nasty thugs (Gil Bellows and Ian Holm). Joe eventually bonds with Hush's family, and the eventual romance occurs. This is an okay film but is tedious in parts, and Connolly and Stone lack chemistry! It had its moments, but not enough to make this a memorable film, or a particular good one either. Although, its not that bad either considering the obvious low-budget. As a big fan of both Billy Connolly and Sharon Stone, I was a little disappointed with 'Beautiful Joe'.